The University Libraries held our biannual Library Student Assistant Award (LSAA) reception on March 15, 2019. 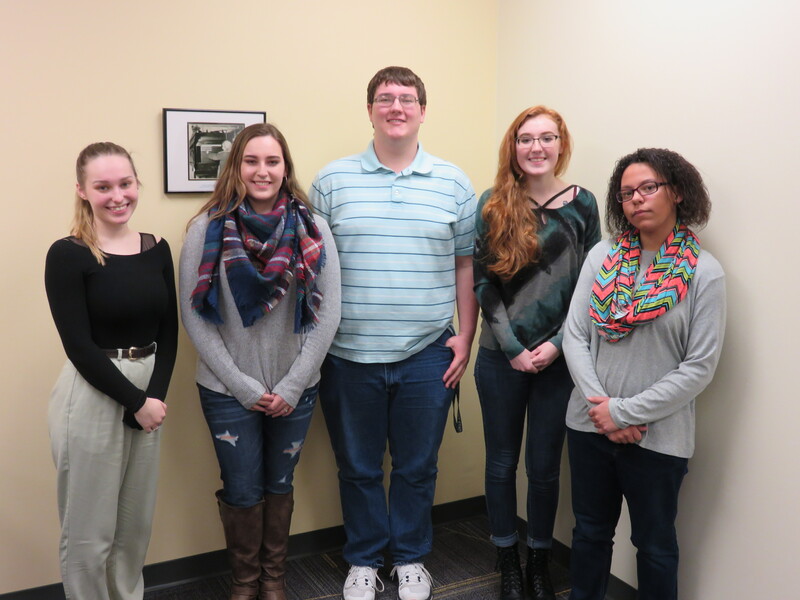 Six students were honored with a $500 award. Library Student Assistant Awards are funded by contributions to the Campus Scholarship Innovation Campaign from the University Libraries’ staff and other donors, with a matching contribution from the Friends of the Libraries. To date, nearly 400 awards have been distributed totaling over $183,000. This semester, current WSU students have the opportunity to win a private office for the week before finals. The winner will be randomly selected from followers of @dunbarlibrary on Twitter who like and retweet our official announcement (look for the phrase “OFFICIAL ANNOUNCEMENT” in one of our upcoming tweets). 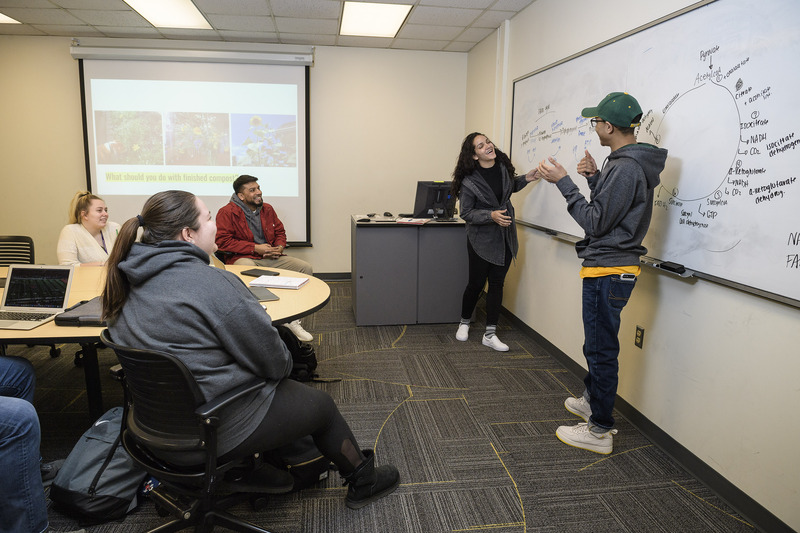 The winner will get full access to room 328A, one of the seven new bookable quiet study spaces made possible by State Capital Improvements funding, from 1:00 pm on Sunday, April 21 – 9:30pm on Saturday, April 27th during library hours. The office includes a networked computer with dual monitors and a printer in the adjacent room. Regular printing costs apply. The winner will be notified directly by Wednesday, April 10. “Quiet is critical to studying.” One of the major findings of the Dunbar Library Building Use Study (2016) was that the lack of privacy and quiet posed concerns for students. Many students identified a need for designated quiet and group study rooms. Additionally, students requested computers in designated quiet areas and asked for printing stations throughout the library. The library’s award of $1.1 million state capital funding in 2018 provided the opportunity to respond to these needs. 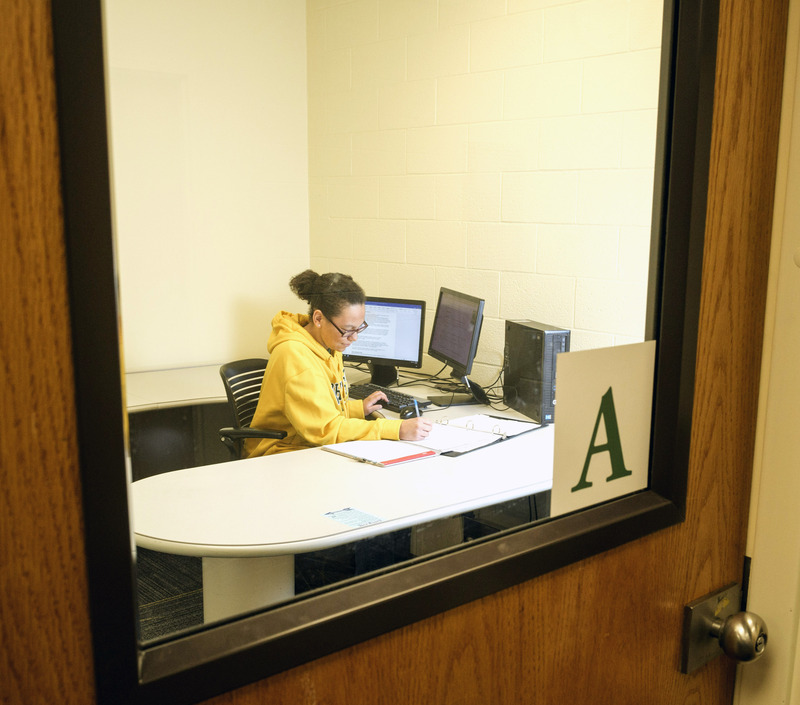 Room 328 on the 3rd floor now houses six individual study carrels and one private office. Each includes a Windows computer and access to a networked printer in the room. A total of four group study rooms are now available: two on the second floor, and two on the third floor. Two of the rooms include video projectors and all include whiteboards. One room (216) includes the setup typical in an electronic classroom to help students practice presentations in an environment similar to their classrooms. These studios are ideal for audio and video recording and multimedia editing. 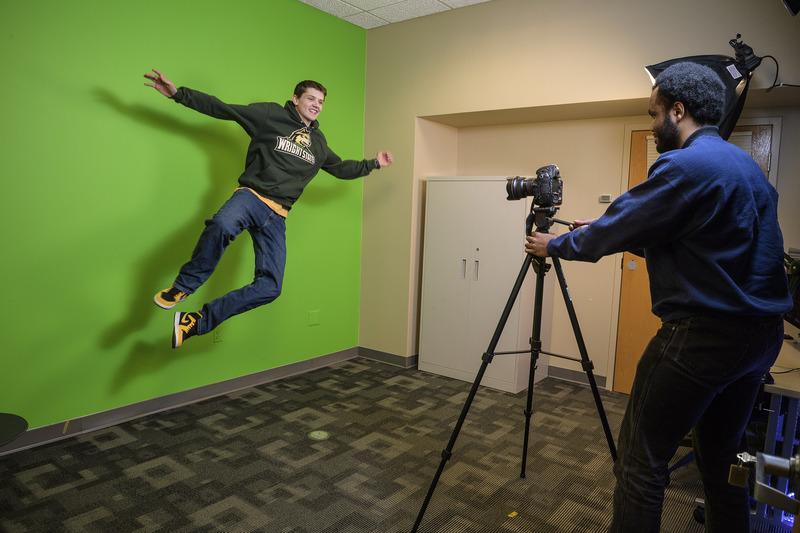 Studio A includes a green screen wall, Yeti Blue Microphone, and studio lights. 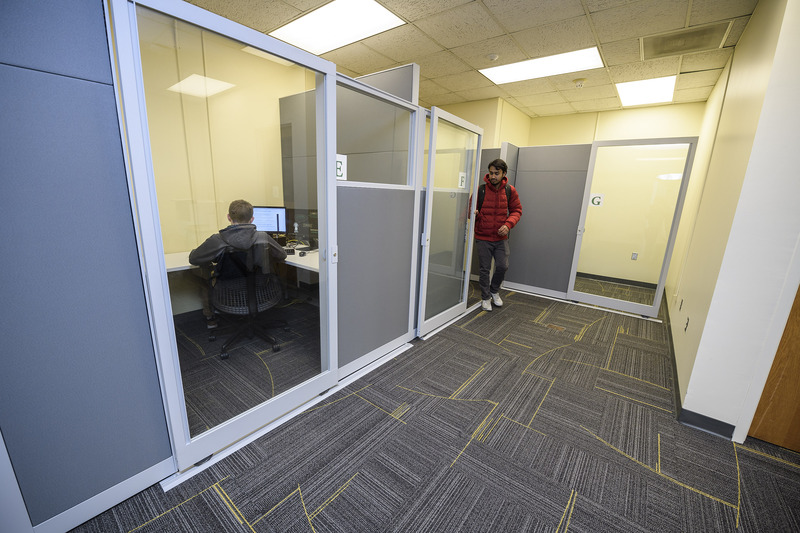 These rooms include editing software not found outside of the STAC, including Camtasia, Audacity, Final Cut, Premier Pro, and more. Reserve a room online any time at https://libraries.wright.edu/spaces or by calling the Information Desk at 775-2925. You’re invited to the annual Friends of the Libraries luncheon, where we will be joined by author & Wright State Alumna Ann Weisgarber. 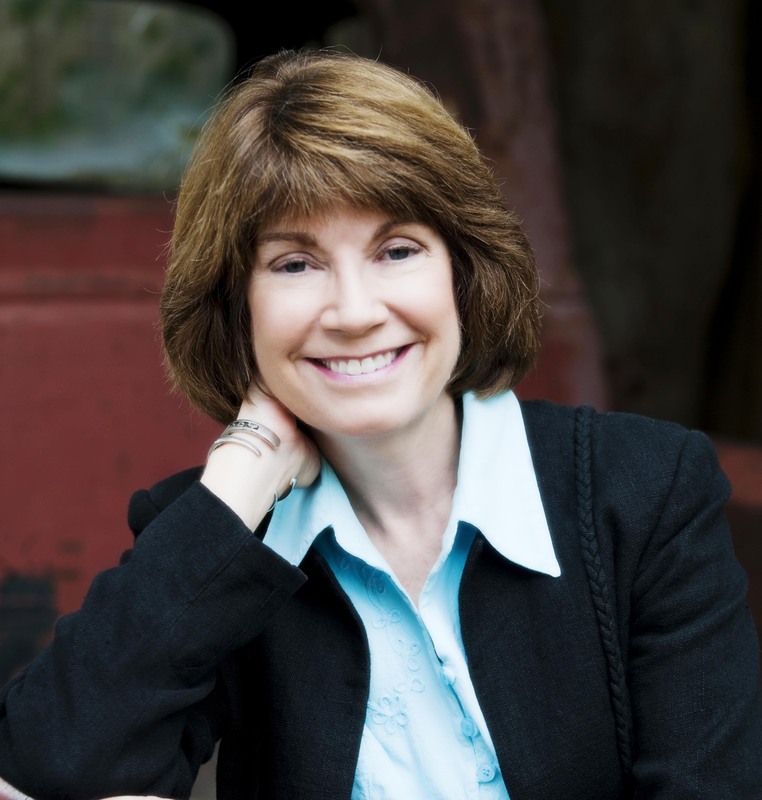 Ms. Weisgarber is the author of three historical novels: The Personal History of Rachel Dupree, The Promise, and The Glovemaker. Join us as she shares how libraries, archives, and the research process impacts her work as an author. Books will be available for purchase and signing at this event. Registration is required for this event and must be completed by April 10th. www.libraries.wright.edu/librarylunch. All proceeds benefit the Friends of the Libraries.